I want to announce that my latest book “Hiking Northern California” will be officially released one month from today. 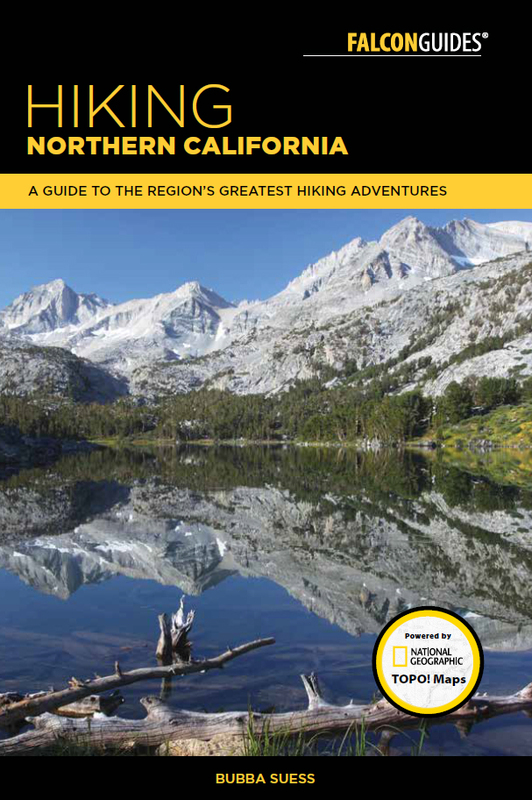 The book covers 80 of the best hikes in the northern 2/3’s of California. This includes the north and central coasts, the Klamath Mountains, Cascade Range and the Sierra Nevada. I even sneaked a couple of trails in the Sacramento Valley into the book! It’s not intended to be an exhaustive hiking guide like my Mount Shasta book, but rather a primer on the best trails in each of the 9 regions the book covers. No matter where you are headed in Northern California, there is going to be a great trail in the book that will be within striking distance. This is a beautiful book. With subject matter like Northern California, it would be hard for it not to be. However, there are nearly 250 full color images in the book, so it is loaded with great visuals that draw at some of the best of what this part of the country looks like. With subject matter like Big Sur, Mount Shasta and Yosemite among many other locations, it is going to look great with such an abundance of images. Another great feature of the book is the addition of full-color topographic maps. The maps in previous books published by Falcon Guides were certainly good. Indeed, they were above average as far as hiking guide maps go. The new maps, however, are excellent. 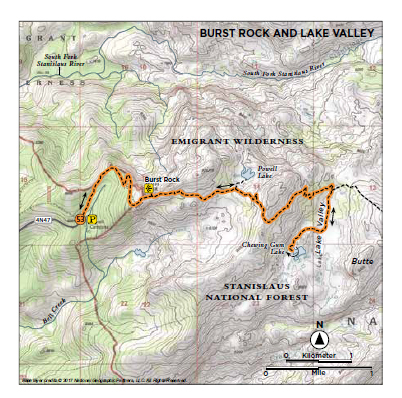 Anyone hiking any of the trails in this guide will not need to take additional maps, since the topos are embedded in the book. Frankly, I think the book is so attractive, it works just as well as a coffee table book as it does a hiking guide. There are so many pictures in the book, many covering obscure and rarely seen destinations, that anyone unfamiliar with Northern California is going to get a pretty good idea how beautiful the northern part of the Golden State is. It was also my purpose that those who have never set out on a trail in Northern California would be able to read the book and experience the beauty vicariously through word and image. I hope it inspires people to come out here and experience this magnificent corner of the world. I’ll have a little more to say in a month, when the book is released. For now, I also want to mention that I have built an Amazon store for HikeMtShasta. There is a link to it on the right side of the menu bar. In addition to pre-ordering my new book (or buying my Mount Shasta and Wine Country guides!) it has lots of other useful hiking guides, books on the history of Mount Shasta and other books that a recommend. I hope you will peruse the store and support this site. I really appreciate everyone reading HikeMtShasta and picking up my books. I hope you enjoy the new one! Just bought the wine country guide, as that is on the list soon for vacation in the coming years! Thanks! I really appreciate it. When you head out there, let me know. I can give you some good pointers and such (if you are interested). That is my home turf and I can definitely steer you to some great wineries, restaurants etc.